International Journal of Research in Health Sciences,2015,3,1,114-117. 1-Assistant Professor, Department of Paediatric Surgery, 2- Assistant Professor, Department of Anesthesiology, King George Hospital,Visakhapatnam, 3,4-Professor, Department of Paediatric Surgery, Andhra Medical College,Visakhapatnam, Andhra Pradesh, INDIA. Aim: To study the clinical presentation and outcome in Congenital Diaphragmatic defects. Materials and Methods: Retrospective study of 25 cases of Congenital Diaphragmatic defects including Congenital Diaphragmatic Hernia and Diaphragmatic Eventration admitted in King George Hospital of Andhra Medical College, Visakhapatnam, Andhra Pradesh from 2009 to 2014.Cases of age group from 1 day to 5 years are included in the present study. Results: 21 cases presented with classical clinical presentation, 2 cases with atypical presentation and 2 cases with post-operative recurrences which were operated outside the institution. 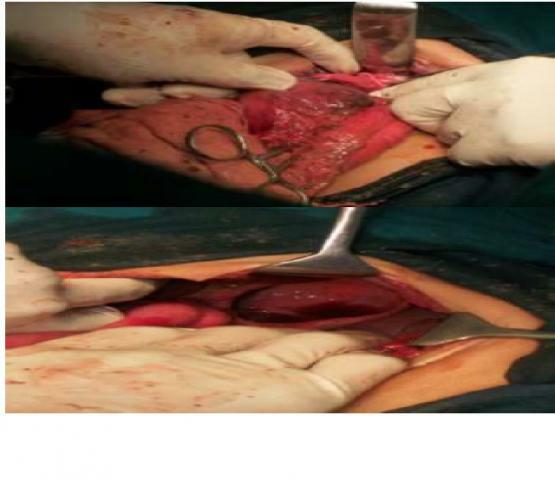 Cases with Right side Diaphragmatic Hernia and a case with atypical presentation succumbed to death. Conclusions: Congenital Diaphragmatic Hernias are common on left side and carries good prognosis. Cases with atypical clinical presentation have 50% mortality. Right sided Congenital Diaphragmatic Hernias are rare but carries guarded prognosis.